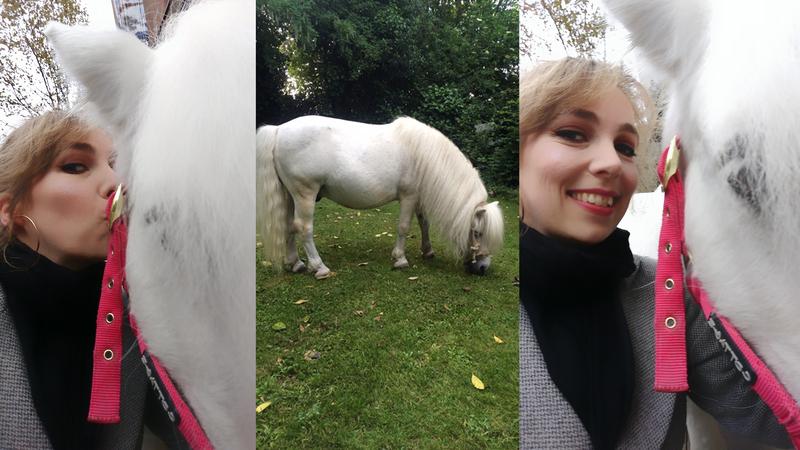 As Birmingham Royal Ballet brings La Fille mal gardée to the Sadler’s Wells stage, our Publications Officer Maxine fulfils her dream of meeting a very special star of the show… Peregrine the pony. 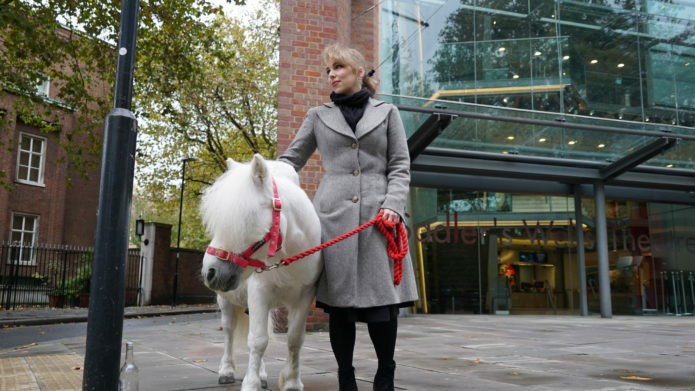 Before we get started, let me make this very clear: I am not obsessed with this pony. Definitely not. I may have chased him down the street once (more on that later), and even bought him a bouquet. Twice (more on that later too), but that doesn’t mean I’m obsessed. Sure, I like him. But obsessed? No. Never. Not me. That’s not to say that there are other people who aren’t. There is a small corner of the internet that is very jealous of me right now. A dedicated fandom, lurking within the larger ballet-loving community. A group of balletomanes (pun very much intended) who have been following the career of this pony with all the ardour of a teenage girl at a One Direction concert circa 2012. Peregrine (like all the best ballet stars, he’s dropped his first name: Formakin) stormed onto the ballet scene nearly a decade ago in a performance of La Fille mal gardée, pulling the tiny trap that carries Lise (the Fille of the title) and her mother from their farmhouse out to greet the workers in the fields. Along the way he is led by one of the more junior (two-legged) members of the company, while to his rear he is trailed by another dancer, carrying a trug that, under the cover of a cheerful looking cloth, contains a… well, let’s be blunt here, a not-so theatrical pooper-scooper, to be whipped out should any accidents occur. And oh boy, do accidents occur, necessitating hasty clean-up and even hastier footwork as the ballerinas shift their pink satin pointe shoes away from the slippy patch. Since then he has claimed the role as his own, touring it to stages all around the country with such regularity that his name is now pretty much synonymous with the ballet. I first saw Fille back in 2012. As a former devotee to the more histrionic storytelling of MacMillan, I was initially a little sneery at the thought of this schmaltzy Ashton ballet, where chickens dance, true love reigns supreme, and there’s no need for poison, swords or any weaponry beyond a few cheekily thrown cabbages (even the promising looking sickles are only used to fell wheat, which struck me as a waste). Which is why it is somewhat surprising that, on a sunny evening in 2015, I found myself sprinting out of Pret, a half-eaten sandwich stuffed into my bag, and popcorn flying everywhere, in a scene that could only match Beatle-mania for sheer enthusiasm and adoration. Because there, trotting down St Martin’s Lane, his white coat gleaming in the evening sun as he headed towards the Royal Opera House for that night’s performance, was Peregrine. A few second later, very red in the face and filled with regrets about my regular gym non-attendance, I caught up with him. I don’t exactly remember what happened next. It was all a bit of a blur. But I came away feeling like I could pull off even the grandest of jetés. So, when I found out that Fille (and, more importantly, Peregrine) was heading to Sadler’s Wells with Birmingham Royal Ballet, I acted with both grace and decorum. I absolutely did not start my campaign to interview him the second it was announced. I waited a full day. At least. 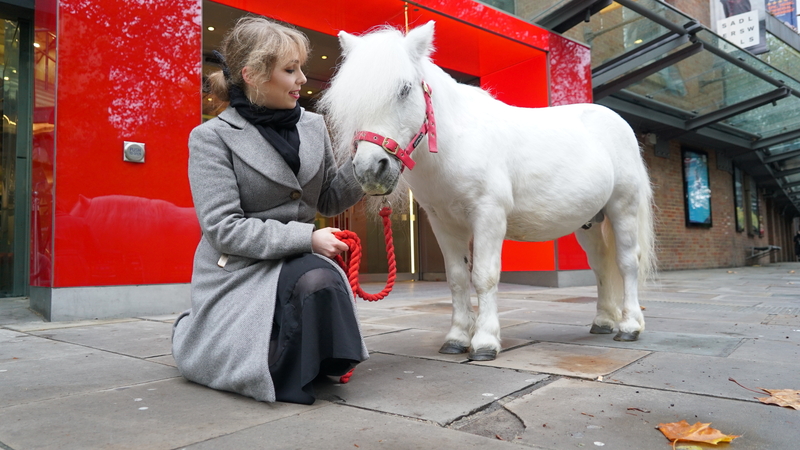 So how do you interview a pony? Enter Tom Davis, farm manager of Peregrine’s current London digs at Mudchute Park and Farm, who has known the equine star for more than eight years and was happy to act as intermediary. His owner, George Gold, agrees. Peregrine’s predecessor kept on going until she was 30. It takes me a moment to recover from this bombshell. Have you ever seen a Shetland pony foal? I haven’t, but a quick Google image search tells me everything I need to know. I recommend you give it a go if you’re having a bad day. I really do. One day a Peregrine Junior might end up pooping on the Sadler’s Wells stage. What a thought. Tom, as you can probably tell by now, has a way with words that leans towards the romantic. I can see why though. Peregrine begs for poetry. When I spot him inside his trailer, the sight of his familiar shape clamps down hard on my heart. The stubby stockiness of his legs. The rotund fullness of his belly. His gentle eyes fringed with the palest of lashes. He’s white. Very white. As white as snow. Or paper. Or the White Witch, Jadis herself. Looking at Peregrine, metaphors utterly fail me. While we’re on the subject, we have another rumour to dispel: Pantene. He doesn’t really use that… does he? “Well, he has done in the past. For that kind of hair, you use anything. He’s been known to use a bit of L’Oreal. “Because he’s worth it,” Tom adds, deadpan. Peregrine’s fulsome fringe is as soft and voluminous as it looks, falling in enviable Veronica Lake fashion over his eyes. As a Mane ‘n Tail girl myself, I’m taking notes. Apart from being a stunner, and a nice chap to boot, Peregrine is also annoyingly talented. A true triple-threat. He’s certainly well behaved when I’m left holding his lead rope. He stands obligingly as we pose for photos on Rosebery Avenue, with a patience born of the utmost professionalism. But what I really want to know is, what happens before the harness goes on. What’s his process? Is he method? It’s probably for the best that neither Peregrine, nor his owner, indulges in social media. A quick glance through the #NaughtyPeregrine hashtag on Twitter will give you a glimpse into the collective love for this adorable pony. However, the #PeregrinesBouquet takes matters to an entirely different level. In 2015, cinema goers around the world were treated to the sight of Darcey Bussell presenting an edible bouquet to Peregrine during the live stream of The Royal Ballet’s production of La Fille mal gardée. Paid for by the fans (Ahem…) the pink ribboned basket was put together and delivered by the ballet-bouquet specialists at Bloomsbury Flowers (only the best for this pony). “I have to admit, I did write one of those letters,” I say tentatively, wondering what sort of reaction I’ll get from Tom. “Well, I imagine up in Scotland he’s got them over his stable wall or something like that,” he says sweetly. So there. You see. Not obsessed at all. Birmingham Royal Ballet’s La Fille mal gardée runs from 1 – 3 Nov. Tickets are available now priced from £12. To book, call the Ticket Office on 020 7862 8000 or book online. 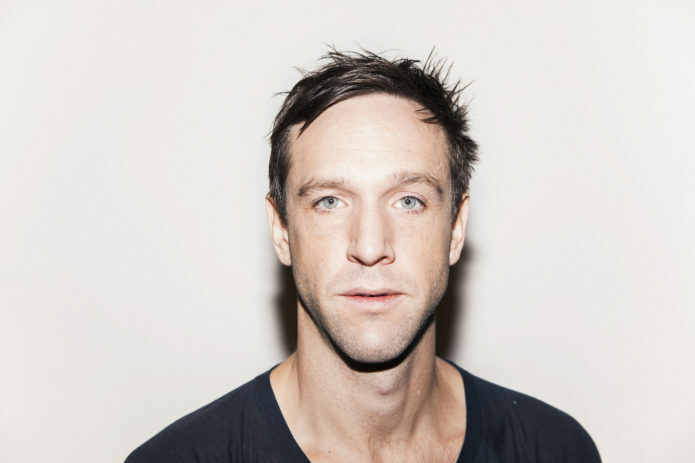 Choreographer and dancer Jefta van Dinther is known for creating striking sensorial illusions. Ahead of the UK premiere of his new work, Dark Field Analysis, we caught up with Jefta in Gothenburg to find out more about the creation of this intimate and voyeuristic piece. What inspired you to create Dark Field Analysis? There were two main starting points. One was the title of the piece which is a term I borrowed from a method within alternative medicine. It’s a way of taking a blood sample – a drop of blood from your ear – and placing it under a special microscope to invert the structures and colours, which means you can see the blood living as you watch it. I had this analysis, and for me it was a very beautiful and profound but also an estranging experience of looking in to myself and seeing my living body. I had a very existential experience, and I became interested in how you could be so distant to yourself at the same time as looking at yourself. The term, dark field analysis, struck me as something very beautiful and poetic, a mix between something scientific and something very philosophical. This starting point came with another: at that moment in my life I was having a lot of strong encounters, meeting people for the first time, and I had very powerful exchanges with people through words. I became interested in the materiality of the spoken word and how there was a feeling of profundity in that exchange. This inspired me to make a piece that had spoken word between two people as the main motor. How did you use this scientific approach to influence your creative work? In the end there’s very little science left. The performance is an experiential journey of perceptions and colours, but also of stories, a kind of staging of two people whose relationship you don’t really understand. The piece starts as a kind of anatomical theatre, a laboratory space, as an aesthetic expression of this science, but slowly things start to dissolve. 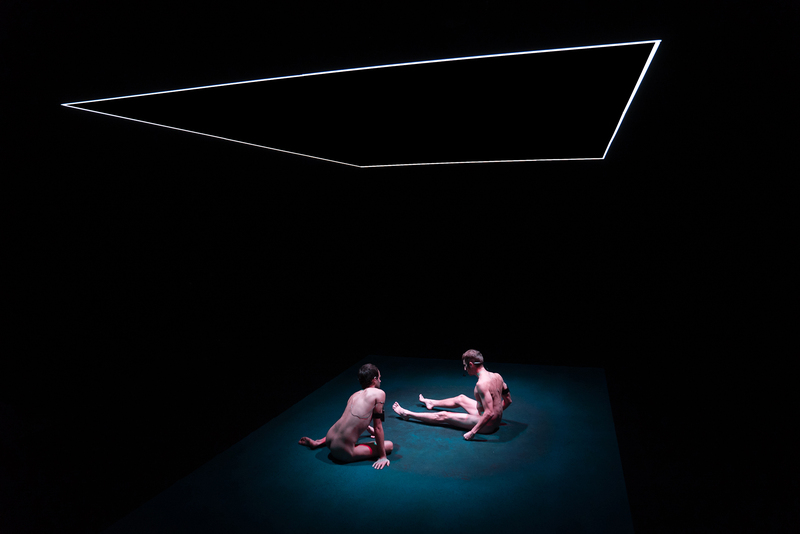 The audience is sitting on four sides of the stage looking on to the performance area, and something that starts off as shared ends up becoming something that is yours, as one dives into a black hole with very low levels of light illuminating the bodies. It’s almost like a dream; a distorted inner landscape. I think the piece enables a journey from this public, scientific, open space where everything is presented, to something much more mysterious, poetic and internal. Dark Field Analysis centres on an intimate exchange between two men, beautifully performed by Juan Pablo Cámara and Roger Sala Reyner. What inspired you to focus on a duet relationship? How collaborative has the making process been? When I first asked them to join the process, I asked if they were willing to sit on the carpet naked and talk for one hour surrounded by the audience. This point of departure had to do with my personal story of meeting and falling in love with a new person, and the kind of conversational mode that takes place in the early stages of a relationship when you’re diving in to each other, through which you also dive in to yourself – there’s a kind of re-configuration of who you are through somebody else. Those conversations often take place when you’re in bed, in the park, or on the carpet of your home. It’s accompanied with that unassuming, lazy space. My work in general is very collaborative, but in this case the performance unfolded specifically in relation to the performers. The qualities they have became very directive. I think it has to do with their use of voices, which are very present in the piece. The voice is an extension of the body and it carries a lot of personality. They are also naked throughout the performance which is a very personal exposure of who you are. Can you tell us about your use of text, which plays an important role in this work? In the end, the piece became much more of a complex assemblage between music, light, voice, body, choreography and material than I had thought. But from the very beginning I approached it as a textual and sonic piece. I was really interested in the idea of conversation. We didn’t know how to stage this conversation. I had the blue carpet and the audience on four sides in mind, but I didn’t know what the performers were going to do, or if they were even going to move. So we spent the first five weeks just generating texts and dialogue that we would record, transcribe, repeat and it was only when we actually put ourselves on that carpet that these bodies started to move. The text gave rise to a way of becoming. We ended up working around the idea of what it is to be a human body, through a juxtaposition of the human in relation to other forms of life. We’re exploring an animal quality, but also a synthetic or cyborgian quality, something that is not sentient. What would you like audiences to take away from this work? What I understand when I hear people share their experience of this performance is that it can enable a kind of journey in to yourself – in a similar way to how I dived into myself through that microscope, you can dive in to certain areas of yourself that are not so clear and that you don’t visit very often. To areas that you don’t necessarily know how to label. It stirs something in you and creates an intensity, even becomes emotional. What I would love is for people to allow themselves to be in this state without having to do something with it or without having to name it – maybe not even make sense of it through talking. It’s not about grasping, it’s about being. Dark Field Analysis comes to the Lilian Baylis Studio on 12–14 Sep. Tickets are £17. To book, call the Ticket Office on 020 7863 8000 or book online. Sadler’s Wells’ visual identity and communications materials, created by design studio Red&White, won Silver in the Media category of the Design Business Association’s Design Effectiveness Awards 2018, held in London last week. The brand refresh integrated Sadler’s Wells’ visual identity with the striking dance imagery of our productions and presentations, and have helped cement our reputation as a leading force in the world of contemporary dance. The brief for the new identity was to embody the spirit of Sadler’s Wells’ bold and daring artistic programme. Since Alistair Spalding took over as Artistic Director and Chief Executive in 2004 and transformed Sadler’s Wells into a thriving producing house, we have helped bring over 150 works by cutting-edge international artists and companies to the stage. 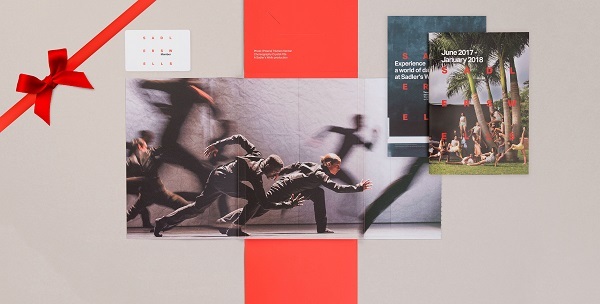 Following the work by Red&White, Sadler’s Wells has seen a positive impact in how its brand is perceived by audiences, with 78% saying that it now feels more contemporary. This has also led to an improvement in our customer loyalty, and 39% of audiences choosing more adventurous shows. We are delighted by the results of the project and to have been recognised alongside Red&White in these prestigious awards. 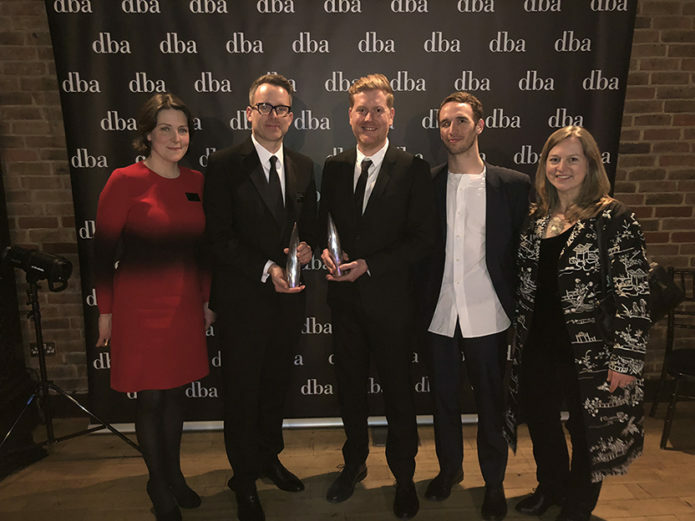 Image: (L to R) Alanna Clear, Strategy Director, Sebastian Cheswright Cater, Director of Marketing & Sales at Sadler’s Wells, Paul Franklin, Creative Director at Red&White, Ry Coleman, Design Director and Magdalen Fisher, Sadler’s Wells’ Executive Director, with our Media Silver award. We are delighted to announce that the American Express Foundation has renewed their commitment to Sadler’s Wells, with a grant supporting our Sampled festival for the next two years. American Express are long-term partners of Sadler’s Wells. Their ongoing support of Sampled ensures we can continue to give audiences the chance to experience a wide range of world-class dance at an accessible price. It is also enabling us to deliver two new engagement programmes for school children and members of our local community, as part of this year’s festival. Sadler’s Wells relies on contributions from individuals and partner organisations to help us reach new audiences and continue to transform lives through dance, and this renewed support from American Express is a valued part of our family of supporters. We are delighted to be nominated as Producer of the Year in The Stage Awards 2018. Since becoming a producing house in 2005, Sadler’s Wells has helped bring to life over 150 shows, presented at our home in London and all over the world. You can read the award shortlist in full here. Sadler’s Wells has been shortlisted in the Producer of the Year category alongside Hull City of Culture and commercial producer Michael Harrison. The Stage Awards, in association with Integro Insurance Brokers Ltd, are decided by The Stage’s senior editorial team, following extensive consultation with leading figures in the theatre industry and a public nomination process. The winners will be announced on Friday 26 Jan 2018 at a ceremony at the Theatre Royal, Drury Lane. Alesandra Seutin | Vocab Dance is auditioning for a new project with Sadler’s Wells in 2018. We are inviting highly skilled and experienced contemporary male and female dancers of black, mixed race heritage / diverse backgrounds to be part of a new work. We are searching for versatile, open minded dancers, with a high level of artistry, integrity and with a collaborative approach to creation. Trained in Contemporary/Modern and/or Jazz, urban styles and/or African techniques. Where: The audition, by invitation only, will be held in London. When: Saturday 27 January 2018, with recalls on Sunday 28 January 2018. Please read our requirements carefully and send in all the requested material well in advance easily accessible to us. The period of employment will include rehearsals and performances in London. It is crucial that applicants are available for all the following dates: 19 – 24 May 2018 (R&D), 27 August – 1 September 2018, 17 – 28 September 2018 (rehearsals), 1 – 5 October 2018 (production week), 7 – 13 October 2018 (show week) and are to explicitly confirm their availability for the above period. Auditions will be invitation only subject to the requirements above. Please send submissions to Georgia.Kersh@sadlerswells.com Deadline for applicants is noon on 8 January 2018. Selected candidates will be contacted personally shortly after and invited to audition in London on 27 January 2018. Please note that we are unable to respond to requests that do not fulfil all of the above criteria or lack any of the requested material and information. We will respond to and review only complete applications, including the video-links, only on YouTube or Vimeo (without a password, open privacy settings), not downloadable files. The videos should be free from special effects, for example slow motion. Stuck for ideas of what to get your family and loved ones this Christmas? Looking for an original and personal gift to treat the dance lover in your life? Sadler’s Wells has a few ideas for unique and special gifts that will keep them entertained for the year ahead. Dance fans will love the exclusive benefits that come from being a Member, including 20% off tickets for most shows, priority booking and season brochures mailed to straight to their door for just £60 a year. Treat them to something really special with a Rehearsal Membership, including priority booking, a limited number of free programmes, and invitations to Season Preview events and Dress Rehearsals, at £130 a year. If you’re feeling really generous, a Patron Membership will get the lucky recipient all the benefits of Rehearsal Membership, plus a personalised booking service, invitations to exclusive events, and opportunities to meet their favourite artists and performers. Starting from £645 per year. With each level your loved one will receive a beautiful membership pack. Each pack includes a membership card, season brochure and information about their membership that will allow them to be part of a vibrant community of members to one of the most important dance houses in the world. As a charity, all membership fees are reinvested into the work of Sadler’s Wells, helping us to create and present incredible shows and develop new talent in the world of dance. The gift of a membership is also a gift back to the theatre and the dance community that it serves. For more information and to purchase gift memberships, visit www.sadlerswells.com/support-us/gift-memberships/. Sadler’s Wells staff and members of our Company of Elders discussed how the arts benefit the over 60s at an international conference in Japan in September. The four-day World Gold Theater Kickoff symposium at the Saitama Arts Theater featured workshops and panel discussions with performers and speakers from Japan and the UK, who shared programming and best practice, as well as exploring the role of ageing communities in the arts. 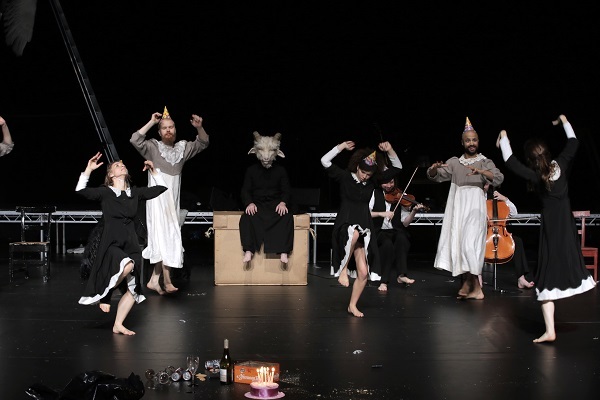 Besides Sadler’s Wells, other UK organisations in attendance included London’s performing arts centre the Albany and Entelechy Arts, a participatory arts company working with older people from diverse communities. Our Director of Learning and Engagement Joce Giles, Lucy Clarke-Bishop, Projects Producer in the Learning and Engagement team, three members of our Company of Elders – Betsy Field, Chris Havell and Catriona Maccoll – and the company’s rehearsal director Simona Scotto gave a presentation on Sadler’s Wells’ over-60s programme. They shared an overview of our work with the Company of Elders, our outreach activities, including the Silver Routes community group, and the Elixir Festival, which celebrates lifelong creativity and the achievements of older dance artists. Joce also took part in a panel discussion alongside David Slater, director of Entelechy Arts, which was chaired by Yoshiyuki Oshita, chief director of the Center For Arts Policy and Management for Mitsubishi UFJ Research and Consulting. The debate looked at how theatres’ future programmes could focus on creative opportunities for elderly people. Simona led a Company of Elders’ taster session and three introductory dance workshops designed for the local over-60 community in Saitama. There were 20-30 participants in each workshop, who were given the chance to learn introductory dance skills and some of the Company of Elders repertoire. Sadler’s Wells’ relationship with Saitama Arts Theater is a long-term one, centred on a shared vision of connecting older audiences with dance. The Japanese theatre’s late artistic director, Yukio Ninagawa, founded Saitama Gold Theater, an over-55 theatre company that has been performing and touring internationally since its inception in 2006. Saitama Arts Theater has also been involved in ambitious community engagement: in 2016 it delivered the 10,000 Gold Theater project, which saw 1,600 professional and non-professional performers over 60 from the local community perform a new production at Saitama Super Arena. We were thrilled to be able to discuss how arts and culture can contribute to elderly people’s mental and physical wellbeing with international colleagues. We look forward to continuing our work with the Saitama Arts Theater and other like-minded organisations to support and promote lifelong creativity worldwide. To find out more about Company of Elders, visit the website. The Lowry, Salford, Birmingham Hippodrome and Sadler’s Wells in London are uniting in a new Arts Council funded initiative called ‘The Movement’ to promote dance across the UK. These three venues are looking for dance lovers to become their Social Movers – a dedicated team committed to supporting great dance, and keen to share their love of dance with a wider audience online. Free tickets to selected shows in your region’s Dance Season for the next 12 months. Behind-the-scenes access to some of our most important events of the year. The chance to meet some of the performers and choreographers who work on our productions. Over the next twelve months, our three venues will be hosting a diverse range of dance productions, including Carlos Acosta‘s new Cuban dance company Acosta Danza, BalletBoyz’s new work 14 Days, Darbar Festival curated by Akram Khan, Matthew Bourne‘s Cinderella, and Birmingham Royal Ballet‘s classic The Nutcracker. The Movement is looking for nine special people from the North West, West Midlands and London areas who would be interested in becoming one of our exclusive Social Movers. As one of our Social Movers you will be invited to come and see live dance events in your region completely free, get to go behind-the-scenes, meet the professionals involved and share your experience by sharing your own videos and social content with others on our The Movement social media channels. In addition, if you run or are part of a local dance group or class, we want to hear from you too. We will be giving local organisations the chance to have their homegrown talent featured on our social media channels by being directly involved our monthly events, competitions, and even get the opportunity to see some of our productions. We want to hear from everyone from children’s ballet groups to seniors’ movement classes, belly dancers to Zumba class regulars. If you think you have what it takes, The Movement wants to hear from you! The Enthusiast – Are you a seasoned fan of the world of dance who has to see everything and knows almost everything there is to know about dance? The Student – Are you attending a local training academy or dance school and looking to making dance a career? The Newcomer – Are you an individual who is entirely new to the world of dance but has a keen interest in learning more, perhaps an amateur dancer in their spare time who enjoys classes during the week? Regional Dance Organisation – Are you a member of or run a regional dance school, group or class? We are also looking groups who are up for showcasing their collective talents online each month. Applicants need to submit a one-minute video of yourself telling us who you are, what you do, and why you think you should be a Social Mover. A tech savvy & creative individual. You’re a proactive and reliable person. Access to your own laptop, camera and smart phone. Able to create at least one piece of content per month and/or attend an event, as well as live in or easily travel to Manchester, Birmingham or London. If you are applying on behalf of a regional dance organisation you must also be based in or near Manchester, Birmingham or London and include a short video of choreography featuring your members and us with any supporting material e.g. website, social media or supporting video links. Click here to read the Terms and Conditions of the Social Movers programme. 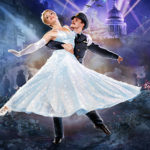 Successful candidates to be shortlisted after the 15 September 2017 by The Lowry, Salford, Birmingham Hippodrome and the Sadler’s Wells, London. 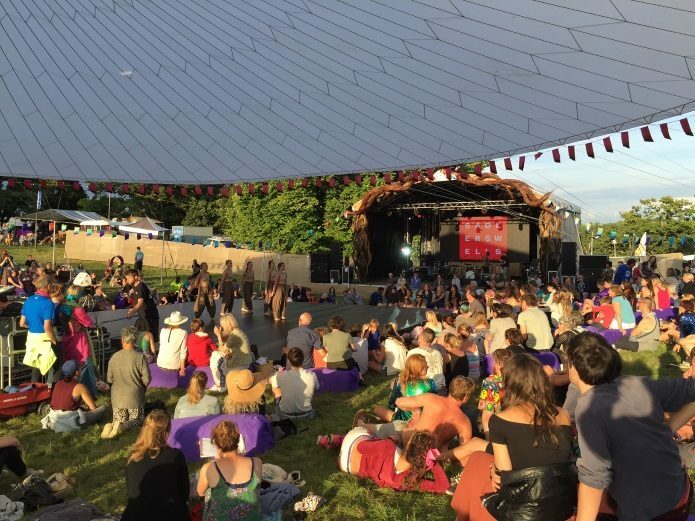 This August Sadler’s Wells will return to the Wilderness Festival for the second consecutive year. Set in the heart of the Cotswolds, Wilderness offers audiences an eclectic programme of live music, theatre and contemporary art. Joining a diverse line up including comedy, cabaret and immersive theatre, we will present work from Pepa Ubera, one of the dance artists we are supporting through Sadler’s Wells’ Summer University programme, as well as Breakin’ Convention’s Freestyle Funk Forum. Pepa Ubera’s The Machine of Horizontal Dreams draws on kundalini and tantric yoga practices to examine how we relate to each other, creating a playful and sacred space for audiences and performer to interact and explore the senses. 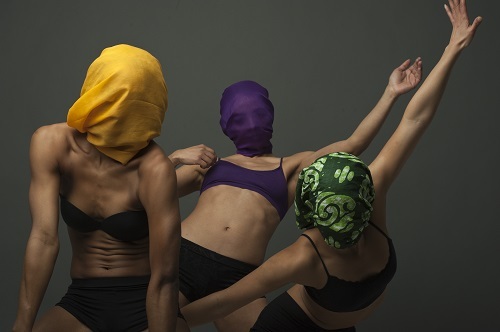 At the same time a dance work and a shared experience, the performance allows different situations to develop and viewers to choose what to engage with. Breakin’ Convention’s Freestyle Funk Forum is an evening of hip hop-infused theatre inspired by improvisatory comedy classic Whose Line is it Anyway?. Hosted by Sadler’s Wells’ Associate Artist and Breakin’ Convention’s artistic director Jonzi D, the show features a series of skits incorporating hip hop dance, beatboxing, turntablism and rap, informed by audience participations and suggestions. Wilderness will take place in Oxfordshire’s Cornbury Estate between 3 and 6 August 2017.